Good morning, dear friends! This post has been written after many interruptions! My babyboy has been really naughty today and wouldn’t let me write my post! Anyway a few months ago my hubby bought me a great cookbook written by my favourite food blogger «The Minimalist Baker». 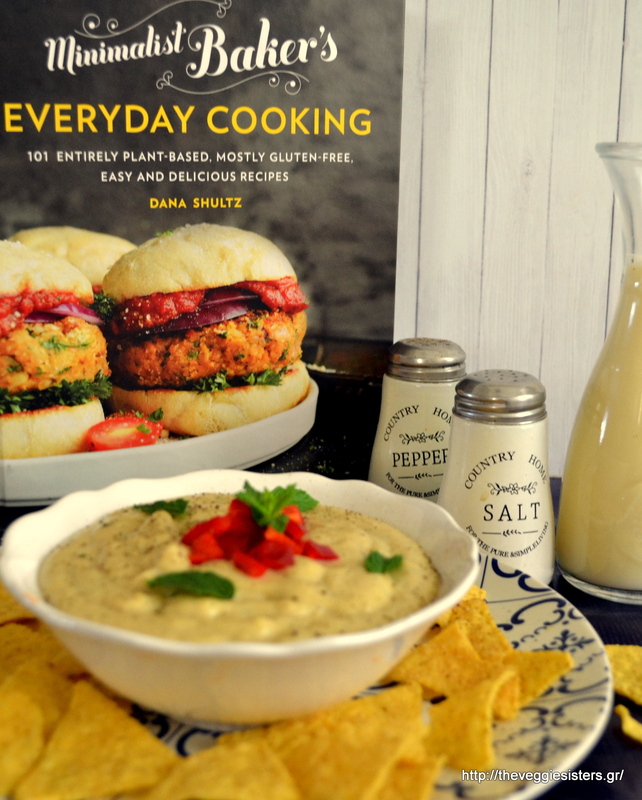 Dana has done an amazing job offering her fans 101 delicious plant based recipes! I chose to make a not so ordinary recipe for the greek readers. Vegan queso! It tastes heavenly! So easy to make and although it is cheeseless, you can feel the cheesiness! If you don’t like garlic, reduce the quantity. I didn’t use chili powder cause I cant stand spicy food. My only addition was fresh peppermint leaves. 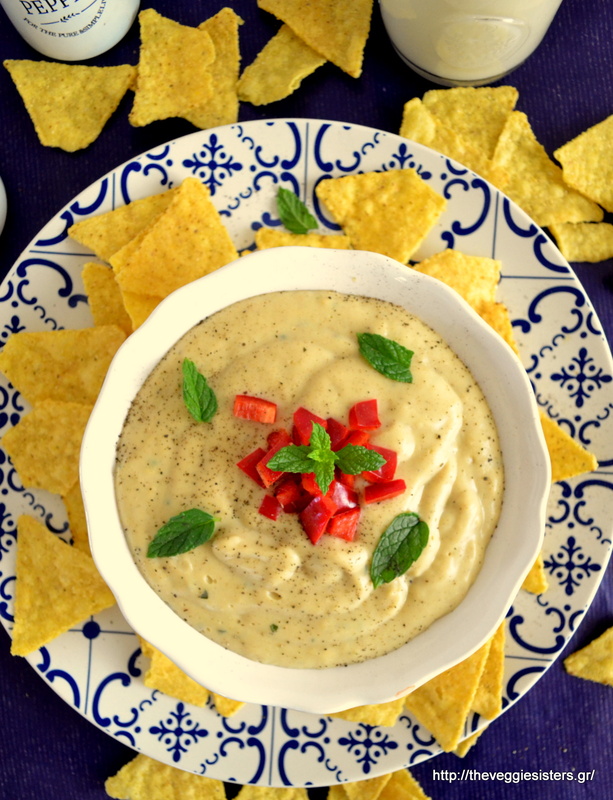 We loved this vegan queso! You should definitely try it! Kisses and hugs! Enjoy your weekend, guys! Heat a large skillet or saucepan over medium heat. Add the butter and let it melt. Add the garlic and stir frequently for 1-2 minutes. Add the flour 1 Tbsp at a time and whisk. Cook for 1 minute, then whisk in the almond milk1/2 cup at a time. Cook for 2 minutes, then transfer to the bowl of a blender. Add the nutritional yeast, salt, cumin, pepper, peppermint, agave syrup. Blend on high until smooth. Adjust the seasonings as needed. Tranfer back to the skillet and simmer on low for 5 minutes stirring often to thicken. Garnish with chopped peppers or diced tomatoes. Serve with nachos, chips, grissini. Best when fresh. Enjoy! Share the post "Vegan queso"